The recent government shut down has been a hardship for Congressmen. The Members Dining Room has closed leaving many politicians wondering where their next meal will come from and without interns to operate things like remote controls and bottle openers, life has been anything but normal for the Congressmen they left behind. Fortunately, for the Washington area's young people, Jack Kimble has used the shut down to redouble his efforts to promote his Caddy for Congress program aimed at teaching important work force skills to teenagers in the Washington area. "Caddying is one of the world's noblest occupations and it's a great start in life for a teen who isn't afraid of a little hard work. Caddy for Congress gives kids a chance to perfect their caddying skills while receiving quality mentoring from an actual member of Congress during a round of golf. While the amateur caddies aren't paid, you can be sure being selected to the program looks great on a resume." 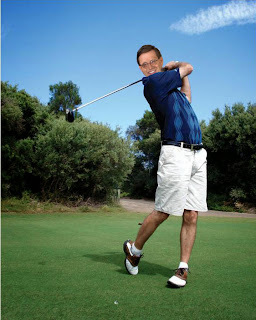 Sometimes alone, sometimes with several other members of Congress, Kimble has been hitting the links and helping local teens for the past 3 years since he saw a need. According to caddy Jennifer Easton, "It's hard work, but it can be a lot of fun. I just wished I had known we weren't going to get paid. I wouldn't have called off work at the Arbys if I knew." I know Congress has a horrible approval rating right now, but it's great to know the 54th District is represented by a man who doesn't stop serving the people, even when the government is shut down.